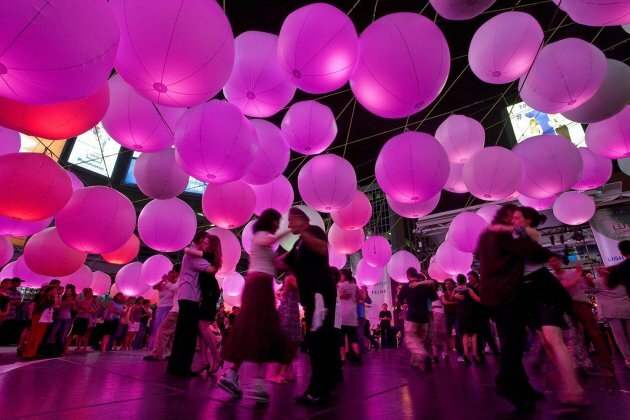 Light Play, an urban art installation for Luminato 2008, Toronto’s annual Festival of Arts and Creativity, played on the concept of a 1950’s dance hall. 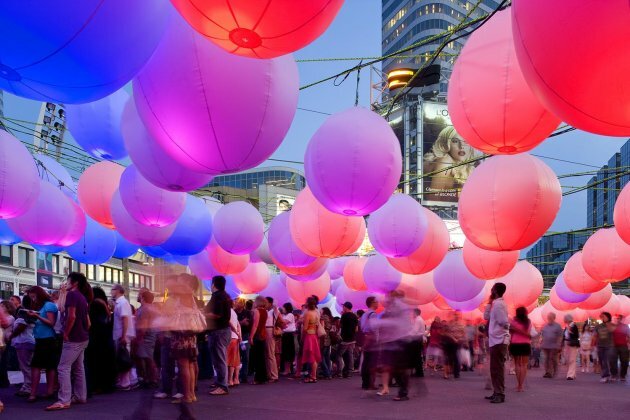 Light Play transformed the open concrete public platform of Younge-Dundas Square into an interactive, playful and intimate gathering space for the over 1,000,000 people who attended the seven days of free outdoor concerts and dance lessons. 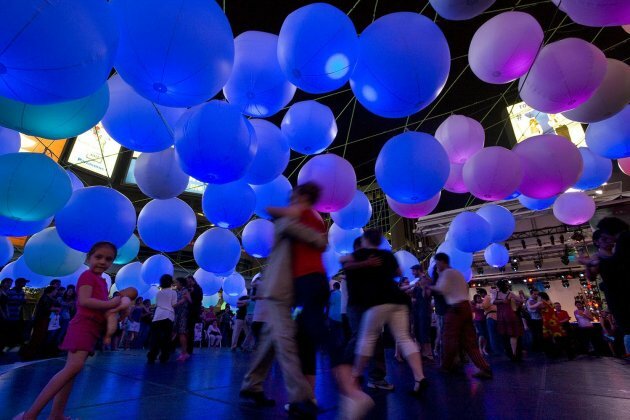 The dance hall concept was brought forward by international set designer Michael Levine and KPMB, one of Canada’s leading architectural practices, furthered this vision by suspending over 200 illuminated PVC balloons over the Square. The balloons were tethered together by an intricate web of nautical rope and fitted with lights that were controlled and programmed to change colour to the sound of the audience and live music below. Visit the KPMB website – here. 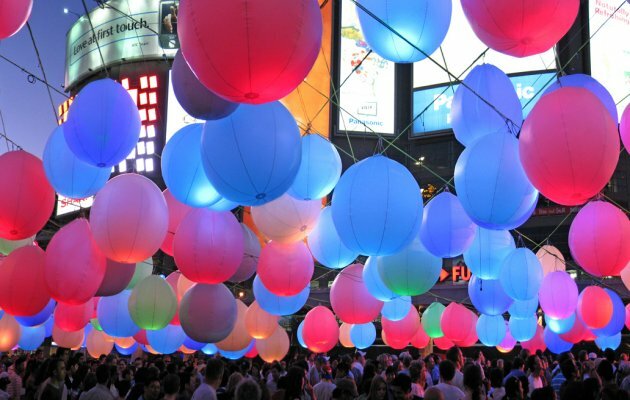 Visit the Luminato website – here. The installation was strategically developed to produce virtually no waste. All materials were donated or re-used. Lighting and audio-visual equipment were rented; balloons were donated to the Department of Earth and Space Science and Engineering at York University for atmospheric research; 10,000 feet of nautical rope and four 40 foot timber poles were donated to selected camps and organizations. Via: Julie Payette – volume2 – International PR for Architecture, design, and art.